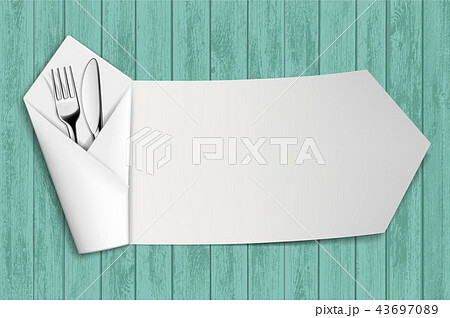 イラスト素材: Fork and knife in a white napkin. Wooden table. Fork and knife in a white napkin. Wooden table. Stock vector illustration.